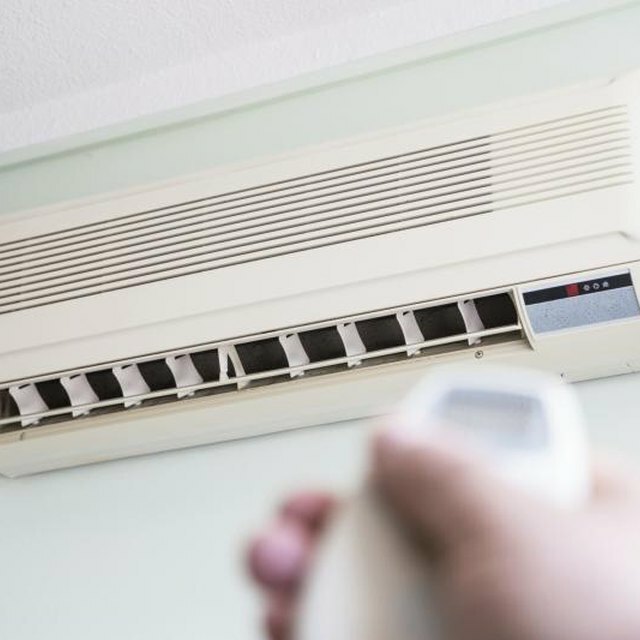 An air conditioner's BTUs (British thermal units) are always prominently displayed on the unit, but the real issue is whether that amount is sufficient to cool your area. A common misconception is that more power means more cooling capacity. However, Energy Saver, a branch of the Energy Department, recommends an air conditioner of 20 BTUs per square foot of area. Measuring the area in question will reveal the amount of BTUs you will require. Also, you can save cash with an air conditioner that operates at maximum efficiency. The right air conditioner means savings. Measure the area of the room. Multiply the width distance by the length distance. Thus, a room 13 feet by 22 feet has an area of 286 square feet. Multiply your area total by 20. This gives you the BTU output you will need to cool the area. In this example, a 286 square foot room requires a unit of 5,720 BTUs -- on the small size for room air conditioners. Figure out how big a room an air conditioner is suited for by dividing its strength, in BTUs, by 20. As an example, a unit of 11,000 BTUs will cover a 550-square-foot room. Get the best value by comparing SEER factors, along with BTU figures. SEER stands for Seasonal Energy Efficiency Ratio. A unit with a bigger SEER value will be more efficient, as the SEER rates output in relation to the amount of electricity your air conditioner needs to produce the output. A SEER of 12 uses half the power of a unit of 6 but cools equivalently.